Some years ago when I had visited an exhibition at Kolkata I chanced upon a stall that was selling unique bath and body products. At that time I remember, an ‘all-natural’ and a ‘chemical free’ concept for personal care had not yet caught up in a big way and so out of sheer curiosity, I stopped over at the stall for a trial. The brand was called Nyassa and they had a selection of some of the most exquisite body lotions, mists, creams, soaps and bath salts that a woman could dream of. I bought a few for my mum and me and tried them at home. That was probably the first time that I was introduced to such a refreshing change from the usual off the shelf personal care products that you can readily pick up from malls and supermarkets. Nyassa brings with it a certain sense of freshness, which is not easy to find everywhere. This is an exclusive brand that primarily focuses on being all-natural. Since I’ve tried it myself and have gifted it to friends who have loved their product I can safely vouch for it. The Lifestyle Portal caught up with 35-year-old Ishween Anand the Founder of Nyassa about her love for an all-natural bath and body products range and her journey from the start. An MBA in Finance and a Chartered Accountant from the Stern School of Business, New York University, Ishween left a lucrative career in the US to make soaps in India. “I am bath and body products junkie; while I was living in the United States I got obsessed with these bath and body products which are a huge industry in the West,” smiles Ishween. One would find people selling handmade soaps at every corner in America and it became her indulgence. Most women would go out shopping for shoes and bags but Ishween would go out to stock up exotic soaps and scrubs and as she started spending more time on soap making instead of the Wall Street Journal that’s when she realised there’s a shift in focus. “I took two weeks off from work and learnt the process of soap making. It’s not rocket science; it’s a lot like a kitchen operation just like baking a nice cake. You use butter, natural oils, sugar and salts to make a soap,” quips Ishween. 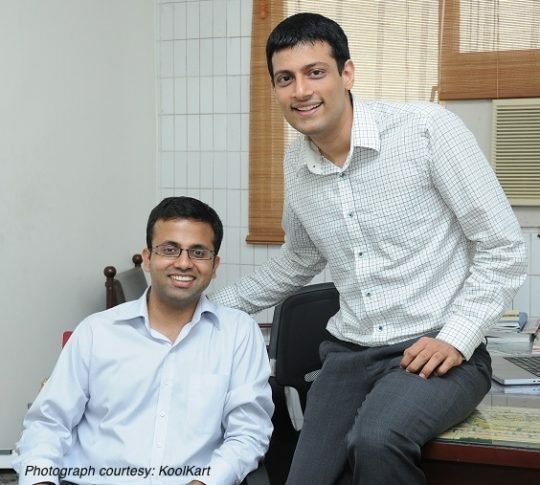 Ishween’s experience prior to Nyassa has been in the financial services industry. She launched her business in December 2006 and since she had just returned from the US with a bunch of formulations the ideas were all fresh with her. “So right from hiring the first chemist, to taking space in my dad’s office, sourcing several ingredients, identifying vendors, identifying space to retail and everything that it takes to run a manufacturing and retail format was started from scratch,” says Ishween. She started off with an initial capital of about 25 lakh of personal funds that she pumped in the first year of her business. After that, the business has been funding itself and generating funds for growth. Nyassa has its origin in a Sanskrit word that means healing through touch by chanting mantras. 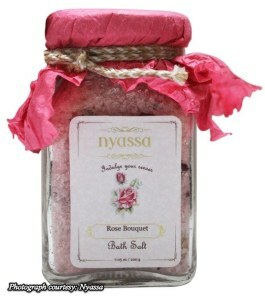 Nyassa is her dream that was born out of her passion for making natural bath and body products. Most of the Nyassa customers include women between the age of 25-60 years with celebrities like Pooja Bhatt, Mrs. Biyani , Pooja Bedi and Mrs. Jaya Bacchan to name a few. “Nyassa is basically a fragrance company. It’s also a company where we minimize the use of chemicals (for instance, soaps made preservative free and made in small batches), we encourage the use of natural ingredients (natural oils instead of petroleum-based products), so that the products look beautiful and offer a divinely fragrant experience making Nyassa an affordable luxury,” explains Ishween. Nyassa promotes its product line through their own website and other popular shopping portals like Flipkart, urban touch, purple, snap deal and much more. “We do a lot of promotion in our retail store, plus our store and the sale is very interactive which helps the brand to promote itself. We also promote our brand through social media and now planning to expand our business and starting new campaigns that will take Nyassa to another level,” smiles Ishween. Before signing off, Ishween shares five simple and easy tips for skin care for our readers at The Lifestyle Portal. A good mix of salts from your kitchen and addition of few drops of peppermint oil can heal your tired feet. Being gentle to your skin is also very important. Don’t scrub or exfoliate your skin too hard. Don’t exfoliate more than 2-3- times a week. Use products with Tea Tree oil or citrus oils for oily skin. People with oily skin also need moisturisers. Use a gel based moisturiser. People can be allergic to natural ingredients. Always run a patch test before trying out a new product. KoolKart – Goodies in a bag goes online! Thanks Tanya for sharing this inspiring story about Nyassa. It has motivated me to start my new venture in health and beauty niche. You’re most welcome Sarika. Glad to know our stories and features are inspiring young talent worldwide. Wish you all the very best and do stay in touch.